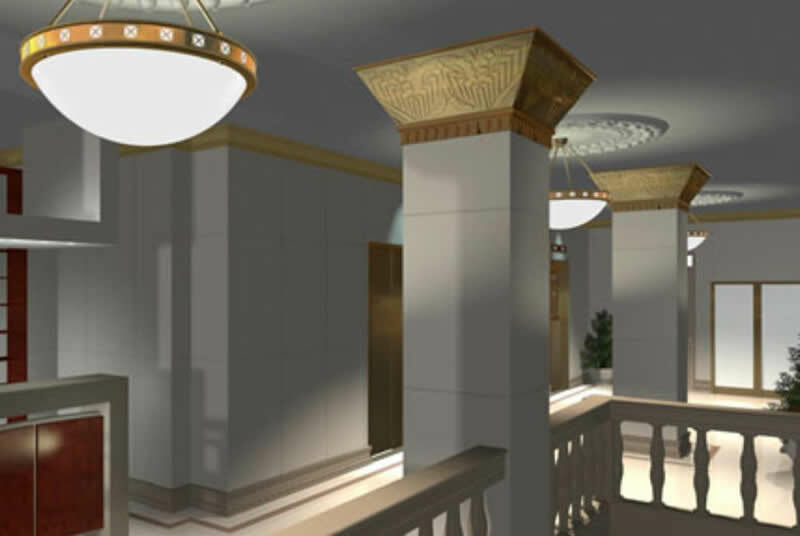 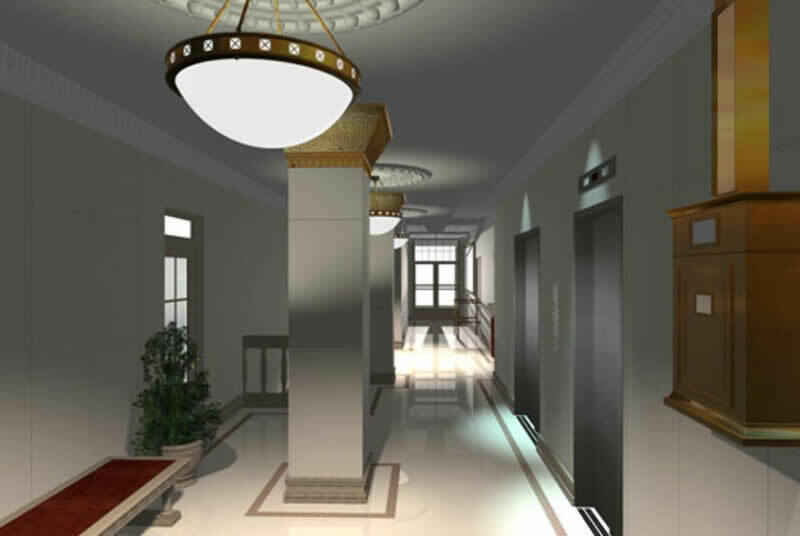 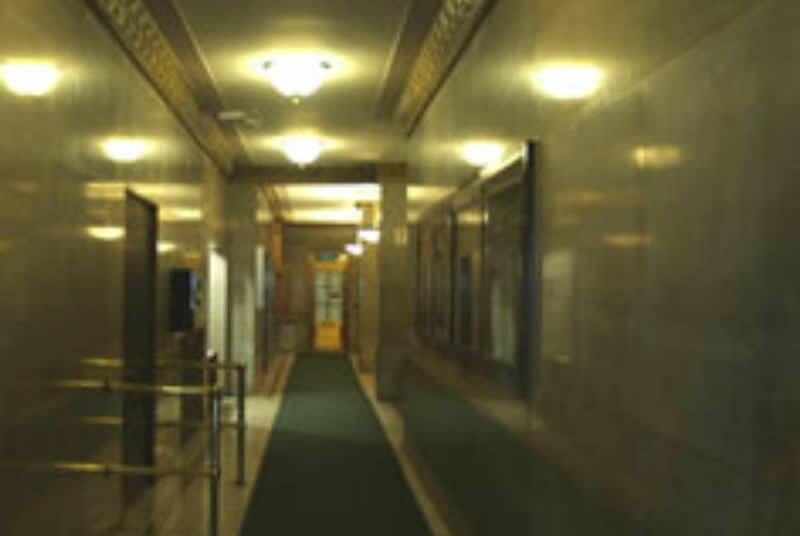 Professional design services were rendered for the restoration renovation of the building's lobby. 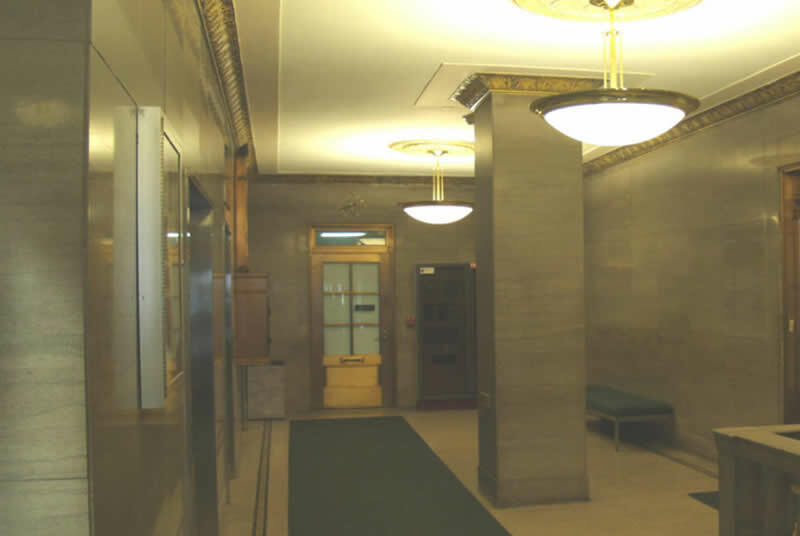 The building's original circa 1925 marble interior has neoclassical detailing, and gold leaf decoration of the column capitals and ceiling moldings. 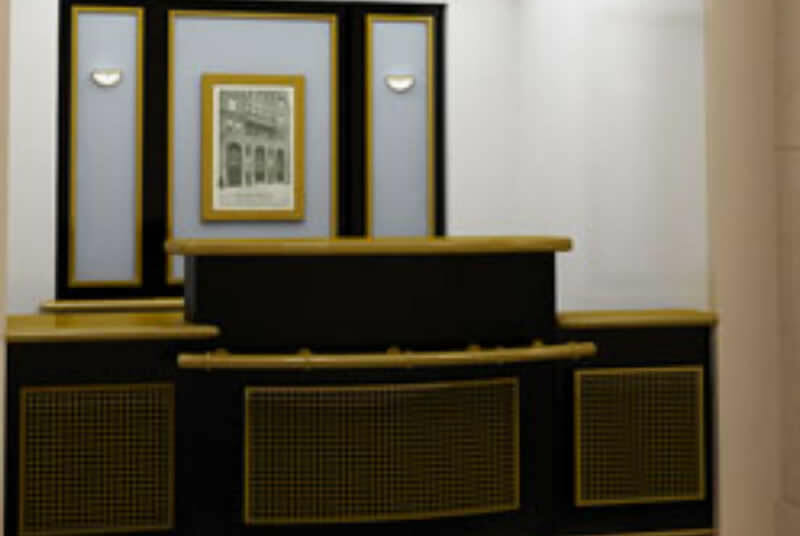 A new reception desk area and security monitoring equipment has been provided as part of the new interior design work. 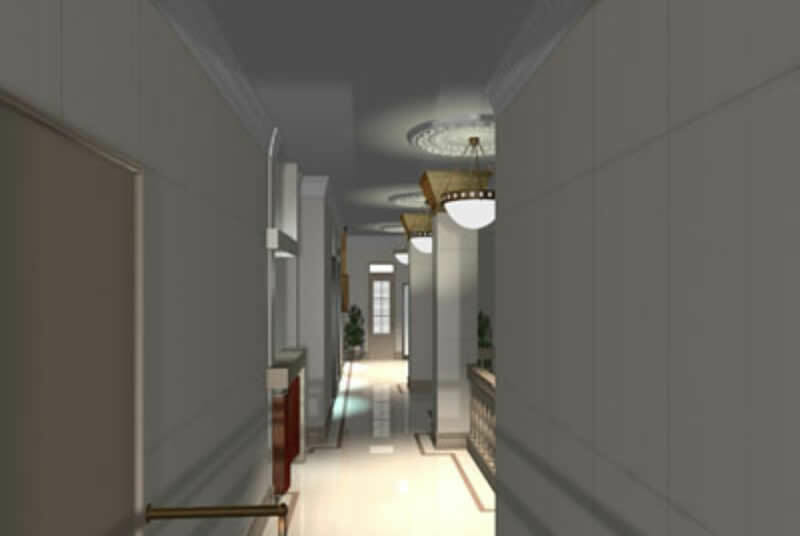 The building is located within the Landmark District of Brooklyn Heights.